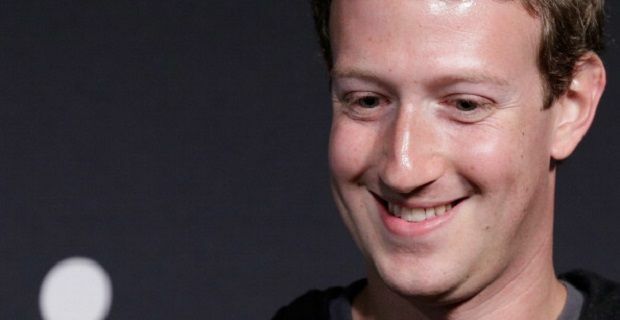 On its 10th birthday, Facebook may not be as popular as it once was but it’s still the world’s top social media website and its creator is still a very rich man. Mark Zuckerberg has earned $3.4billion for himself already this year. That’s more than $109million per day for the 31 days in January. We could work out the hourly rate but that would be depressing. The man’s wealth is of course based on stock market value of the website he founded. The $3.4billion figure materialised on January 30 when FB reported its quarterly earnings. Zuckerberg’s fortune increased twice as quickly as other billionaires. His personal fortune stands at a barely believable $28billion, which puts him 22nd in the world according to the latest Bloomberg Billionaires index. This most recent windfall has allowed Zuckerberg to close the gap on other internet billionaires like Google’s Larry Page and Sergey Brin who have gained just $1.4billion in the opening 31 days of 2014. Amazon’s Jeff Bezos has actually lost money this year, as he’s seen $3.4billion wiped off his fortune. Let’s not shed too many tears for Bezos who still ranks among the world’s wealthiest people, but the heads of Google, Amazon and Facebook are all now within shouting distance of it other on the wealth list. Each of these guys has a long way to go if they want to get to the top of the technology money list as that particular order of merit is headed by none other than Bill Gates. He’s the world’s richest person with a personal fortune of $76billion. Oracle’s Larry Ellison is in second place with $42billion to his name and below the pair is Microsoft’s Steve Ballmer who has $18billion to play with. Zuckerberg may not be at the top of this particular list but he should console himself with the fact that at 29 years old he’s the youngest billionaire in the top 150.